Every effort is made to ensure that when seneye+ slides leave our factory they are manufactured correctly; however, on odd ocassions slides can become damaged during handling or fitting. We recommend that you read the links above to help trouble shoot. Please feel free to contact us for further help and guidance. 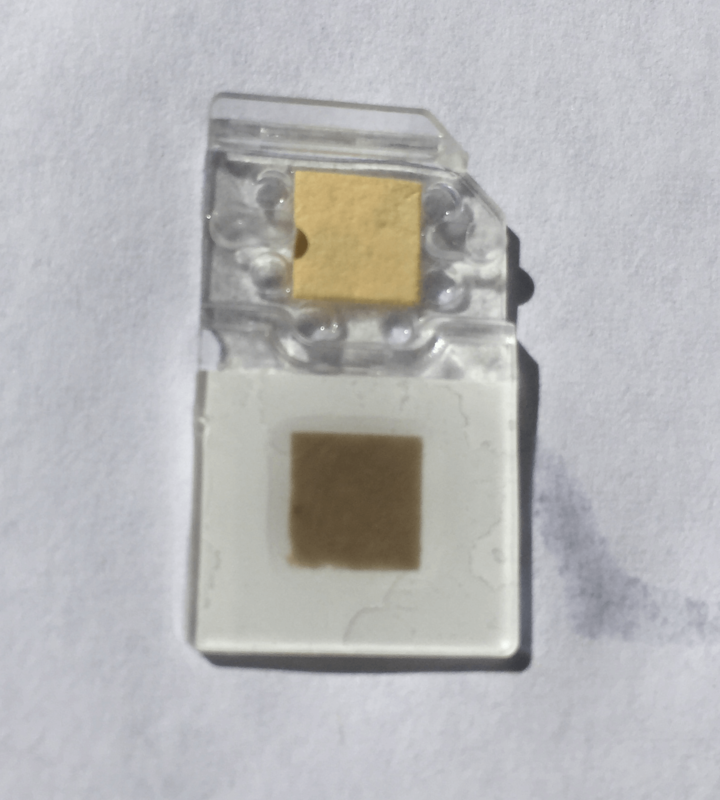 If you have a pH issue such as it is not reading correctly then please read here. 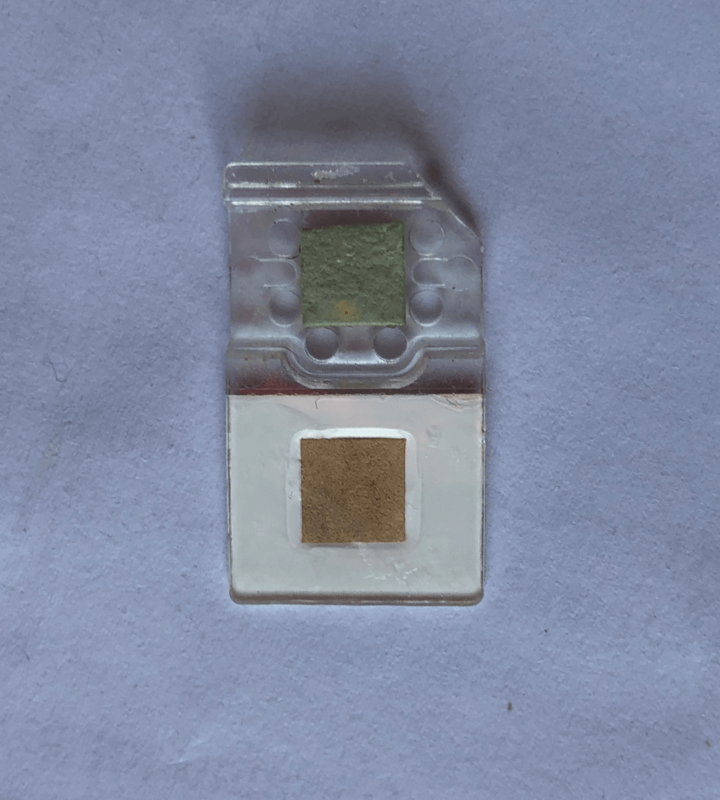 On this slide the sensor pad for NH3 has started to change colour, so there must be some NH3 present, but the colour is not continuous across the entire pad. 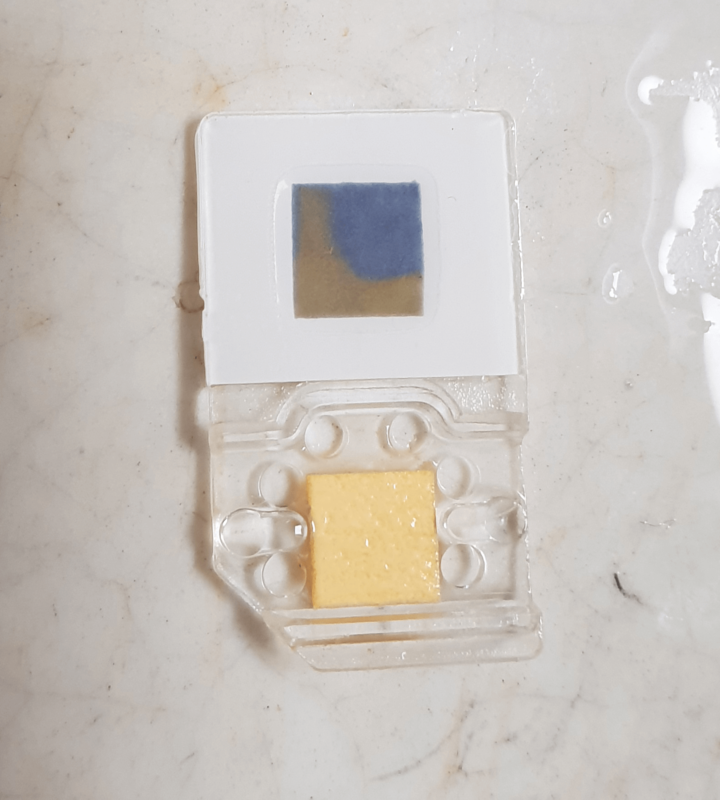 It is clear this slide has been damaged because the pH sensor pad is a colour other than yellow or olive green, and the colour has bled into the surrounding white backing. 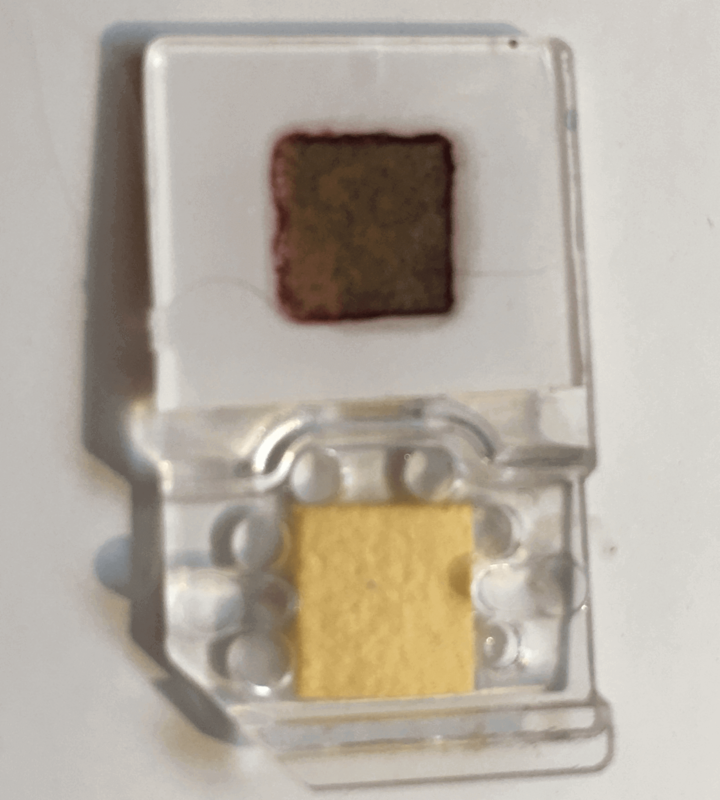 The colour on the NH3 sensor pad for this slide is not consistent, and the texture looks very spongy, different to the flat sensor pads of a new slide.